Despite being financially rewarding, after a while, making TV commercials became quite limiting. As elaborate as our commercials were—sometimes looking like miniature feature films (often we would do elaborate pastiches of classic feature films like Oliver Twist and Brief Encounter) it was still frustrating having just 30 or, sometimes 45 seconds, to tell your story. When I was still a copywriter at CDP I had written an original screenplay, which became David Puttnam’s first film, Melody — directed by Waris Hussein — and I had subsequently written quite a few scripts of my own. With the money we had made in commercials, Alan Marshall and I decided to make a series of short films. The first was called No Hard Feelings — a rather bleak love story I had written, set against the Blitz on London during World War II, when the Luftwaffe bombed the city for 57 consecutive nights. I had a particular affinity for this subject as I had the dubious distinction of being born (a little later) during a German air raid. Rather ingenuously, we had planned for it to be the first of six films in a series called “Stories of the Blitz”. I had written the scripts of the first three No Hard Feelings; ‘The Blackmarket Man’; and a story of evacuated children called ‘Puddles in the Lane’. Our plan was to make the first film and hope that it would then persuade the TV companies to make the other films in the series. 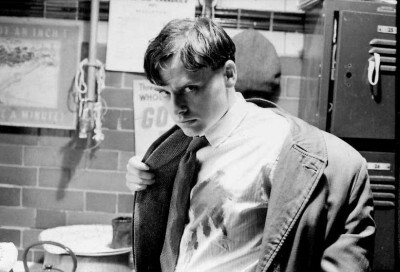 The 52-minute film was made in South and East London in the summer of 1972 and took three weeks to shoot. The crew were drawn predominantly from the people we had been working with regularly in commercials, including: cinematographer, Michael Seresin; production designer, Brian Morris and editor Gerry Hambling — all of us went on to make many feature films together. When we finished the film, needless to say, we were rather pleased with the results and, more importantly, had really enjoyed the longer form filmmaking. After the inhibiting 30 second straightjacket of TV commercials, it was quite liberating to have 50 minutes to tell your story. However, the much tougher part than actually making the film, was trying to sell it. Hard to believe, but in those days, almost no independent drama production was made outside the protective, self sufficient, insular monoliths of the BBC and ITV — a fact that Alan Marshall and I hadn’t quite grasped when we naively started out on our endeavour. Basically, no one was interested — especially in a couple of oiks from TV commercials who had been daft enough to spend their own money on making a film. On one occasion, carefully taped up cans of the film were returned from Granada TV with a note saying, “Sorry, we see no place for your production in our schedules.” The fact that the cans hadn’t even been opened, let alone viewed, was extra deflating to us. Co-incidentally, through a mutual friend, the publicist Allen Burry, I had shown the film to Mark Shivas, a senior BBC drama producer. He had his own wartime story, The Evacuees, written by Jack Rosenthal, which he duly offered to me. I agreed to take on the BBC project if he could help us place No Hard Feelings. Within a few days the BBC had bought the film and agreed to show it. 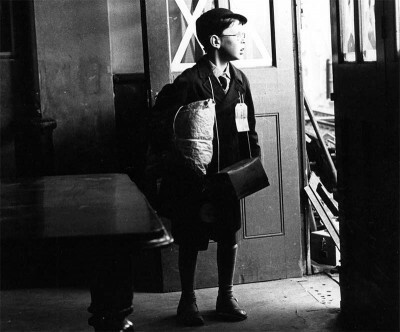 Making Jack Rosenthal’s evacuees script meant that I couldn’t do my own story on a similar subject, ‘Puddles in the Lane’, and so I wrote it as a novel for children instead.